All types of hazardous, sometimes respirable, fine dusts are found on construction sites and in workshops on a daily basis. 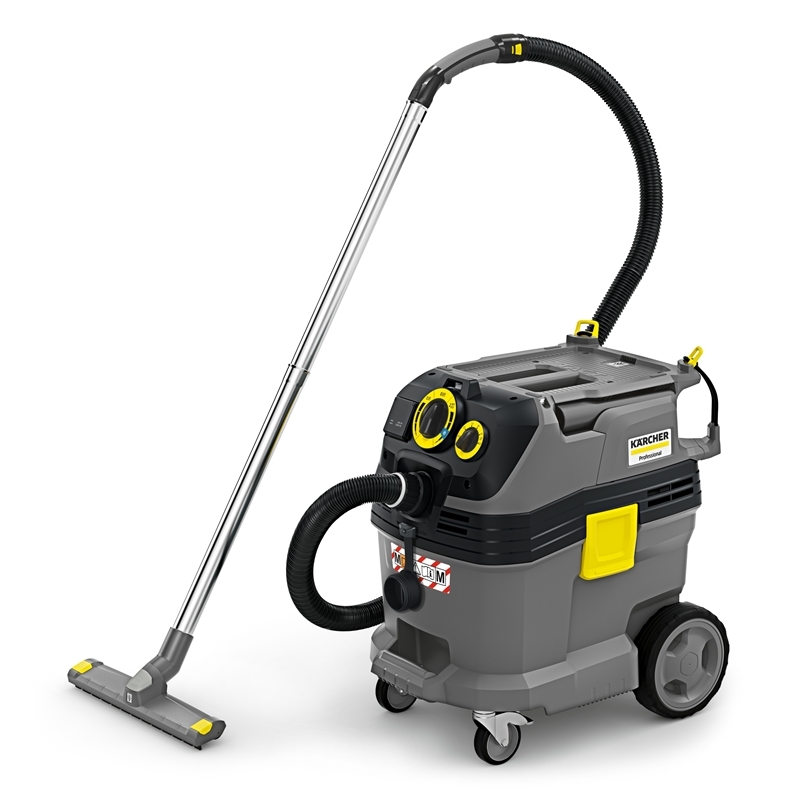 Thanks to its new fully automated filter cleaning system, our compact NT 30/1 Tact Te M wet and dry vacuum cleaner removes quantities of fine dust never before achieved whilst simultaneously guaranteeing filtration efficiency of 99.9%. The filter cleaning system and suction power are monitored and regulated using sensor-controlled electronics at all times. Thanks to its integrated power outlet with auto-start feature and full antistatic system (including conductive accessories), the device is ideal for direct suction on power tools that generate dust. Using the newly developed accessories, which are generally stored securely on the device, dust which is already deposited on the floor or on machines can be effortlessly and fully sucked up into the robust 30-litre container with metal castors and bumper.